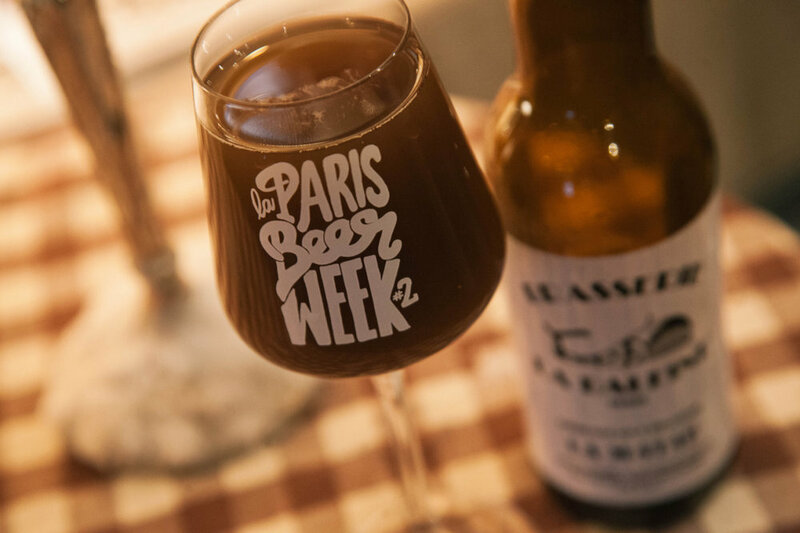 Only I could find a pop-up craft beer & small plate pairing event 2 blocks from my AirB&B in Paris…these things must just call to me. Les Dîners Bon was supposed to just run until the 6th of December (which coincidentally was my first night in Paris) at Cave du Miroir in Montmartre, but they ended up getting extended until the 31st. So after my sightseeing was out of the way each day I came back around to try more French beer paired with some amazing dishes. Or it might have had something to do with these guys. 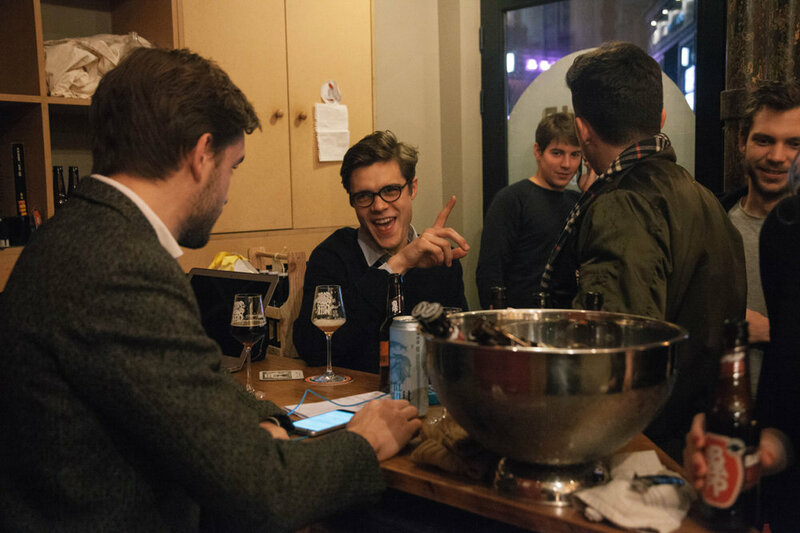 From what I learned, while France has some of the oldest breweries in the world, the craft beer revolution we know so well and take for granted in Vancouver/Canada/USA, isn’t as prevalent. 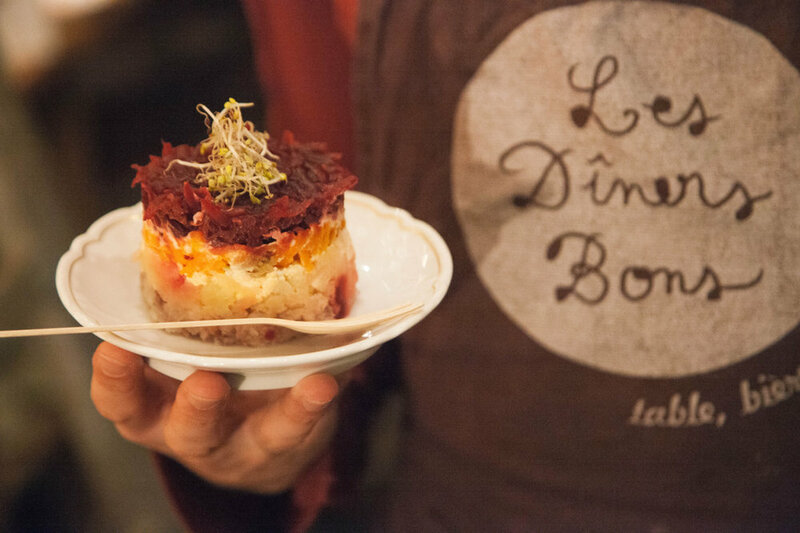 Pairing beer and food just isn’t a thing there…for now [if the team behind Les Dîner Bons has their way]. I tried SO many different beers while hanging out there, both from France and the rest of Europe. I think my favourite one, or at least the most unique, was from Brasserie La Baleine - a sour beer that had squid ink in it! C'est bon!